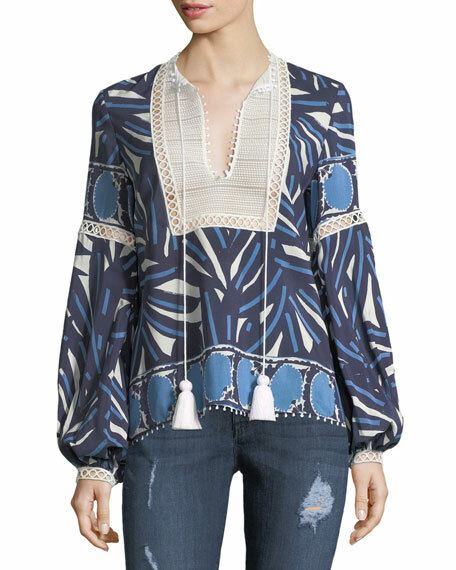 Andrew Gn top with contrast embroidery. For in-store inquiries, use sku #2363901. Alexis "Ciela" printed cotton top with scalloped trim. Contrast lace bib with tassel ties. Long, blouson sleeves. Easy fit. Slipover style. Combo, polyester/nylon. Imported. 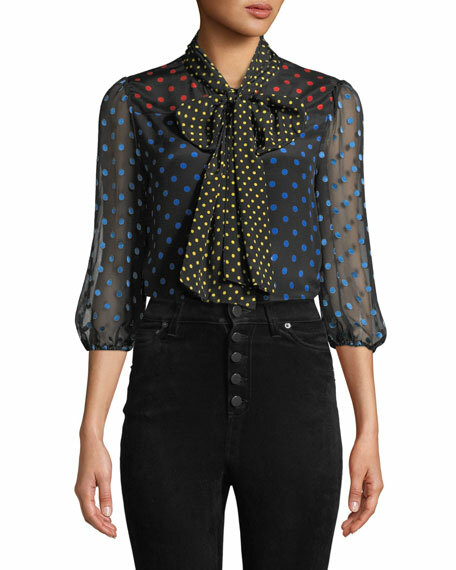 Alice + Olivia "Jeannie" top in mixed dot-print. Self-tie neckline; button front. Long blouson sleeves. Relaxed fit. Silk; self lining. Silk/viscose combo. Dry clean. Imported. 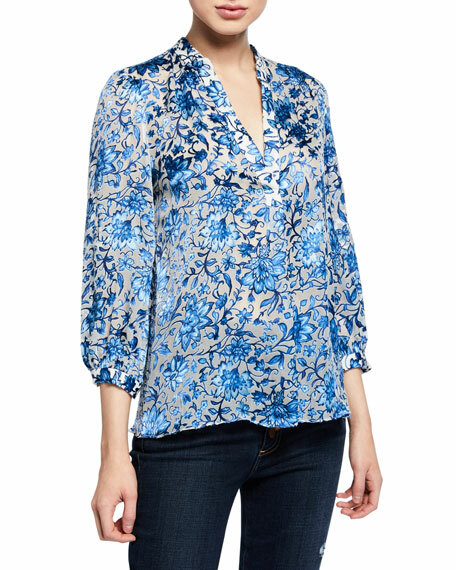 ALICE + OLIVIA JEANS "Sheila" top in floral-print. Band collar; V front. Three-quarter blouson sleeves. Yoked back; box pleat. Relaxed silhouette. Slipover style. Viscose/silk. Polyester/spandex lining. Imported. 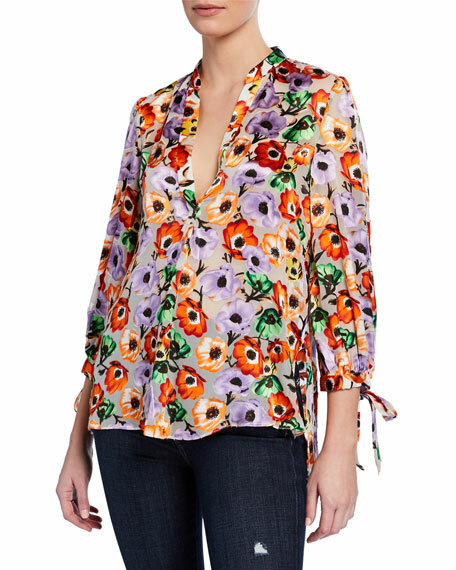 Alice %2B Olivia "Sheila" top in floral print. Band collar; V neckline. Three-quarter blouson sleeves with tie cuffs. Yoked back; box pleat. Relaxed silhouette. Slipover style. Viscose/silk Lining, polyester/spandex. Imported.